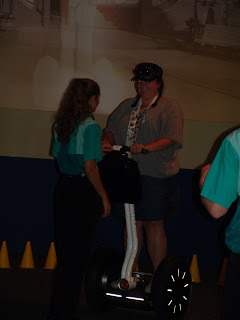 I took a little class in Innoventions and got to ride a Segway. It was pretty weird at first. Moving and turning are really easy but standing still was not as easy. David is going to love this when we go in June. He will just be old enough, you have to be 16 to do it. It was only a bout a 5 minute ride but it was really cool. Ha! 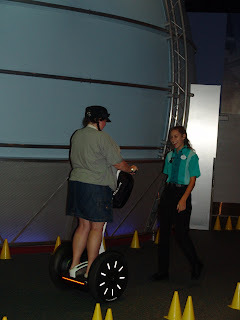 Frost Brown Todd (where Matt used to work) did the trademark and patent for Segway!! !